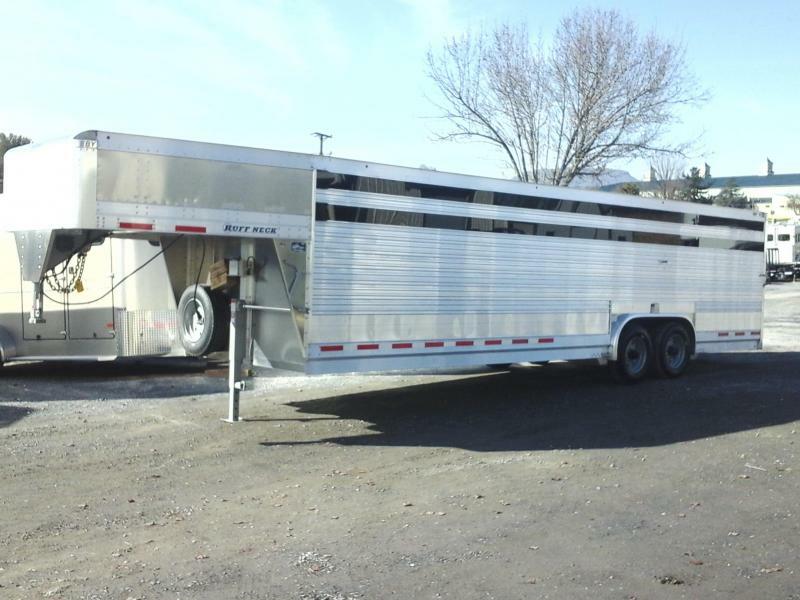 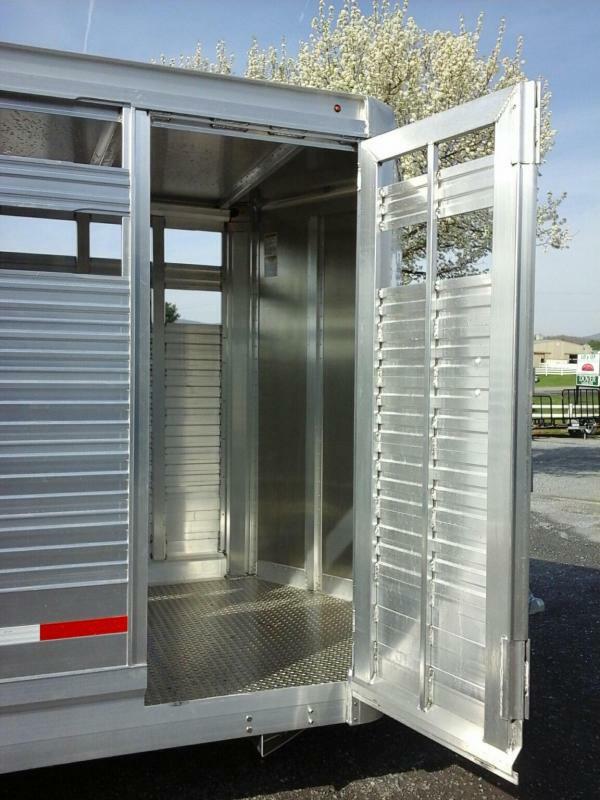 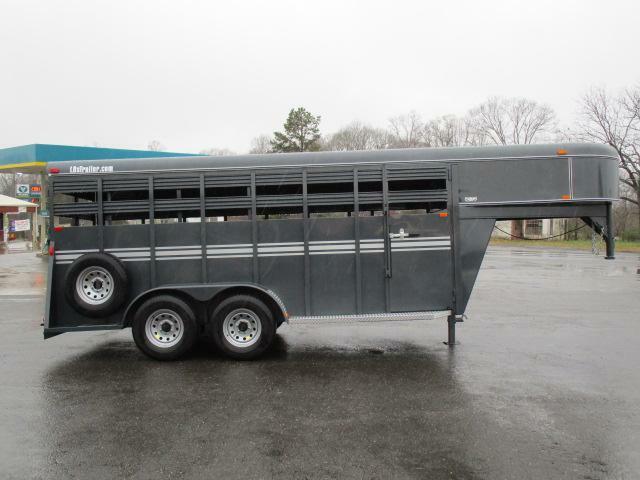 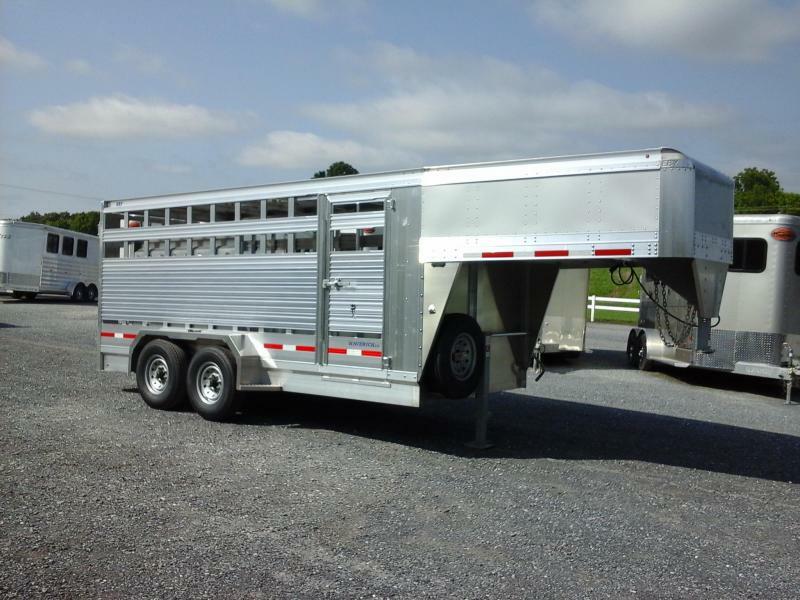 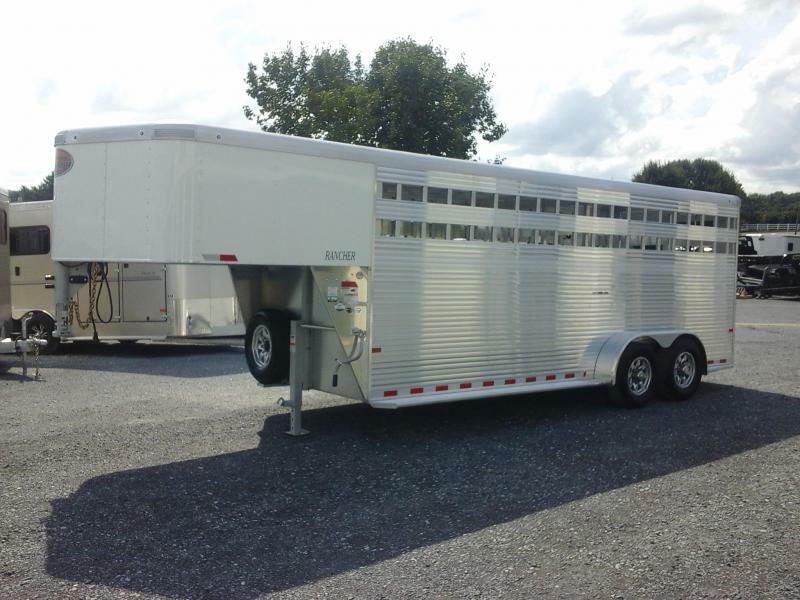 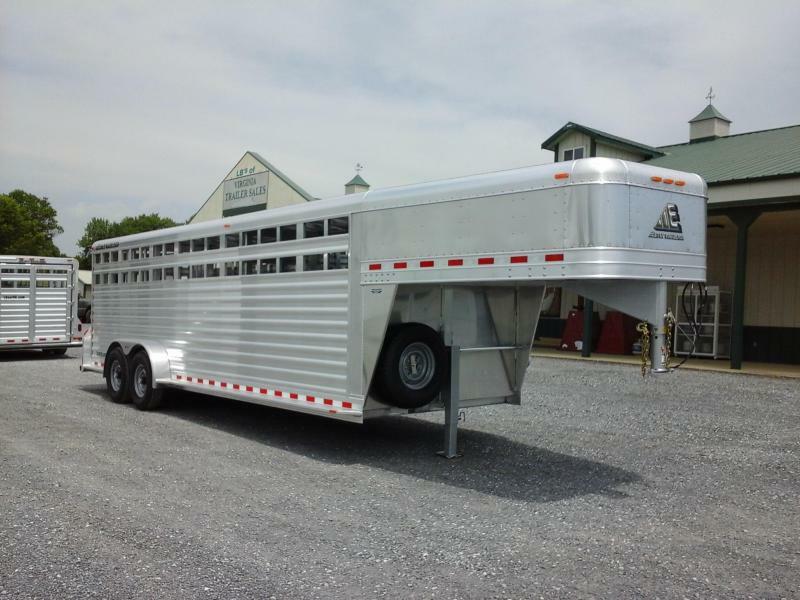 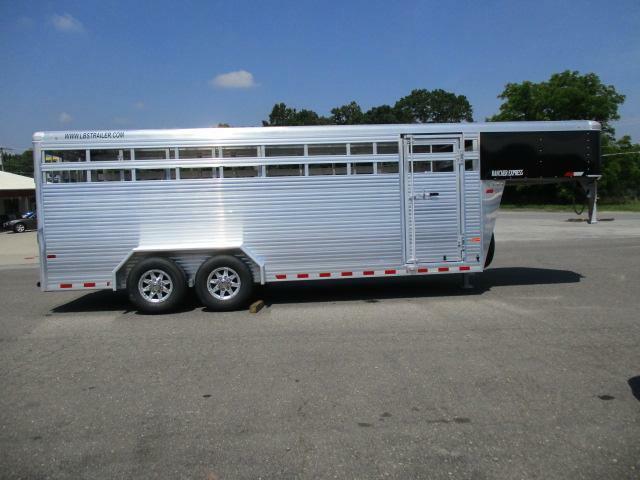 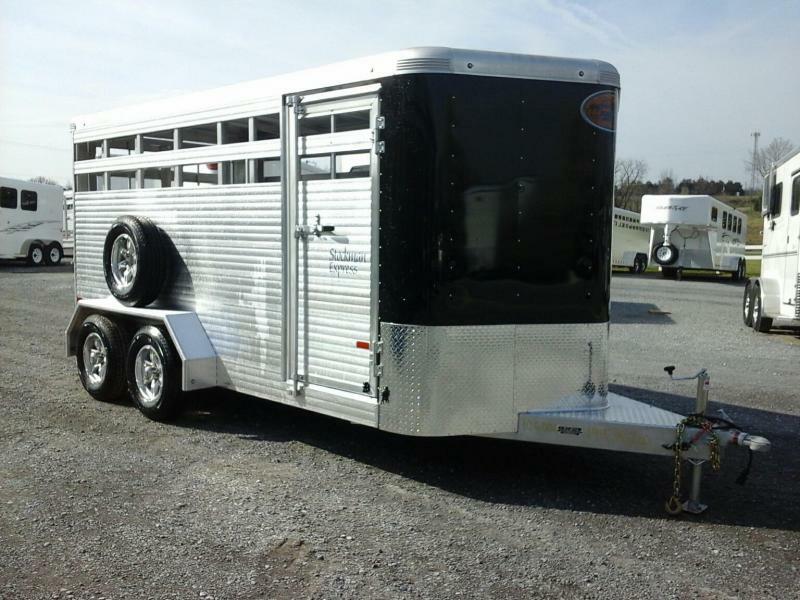 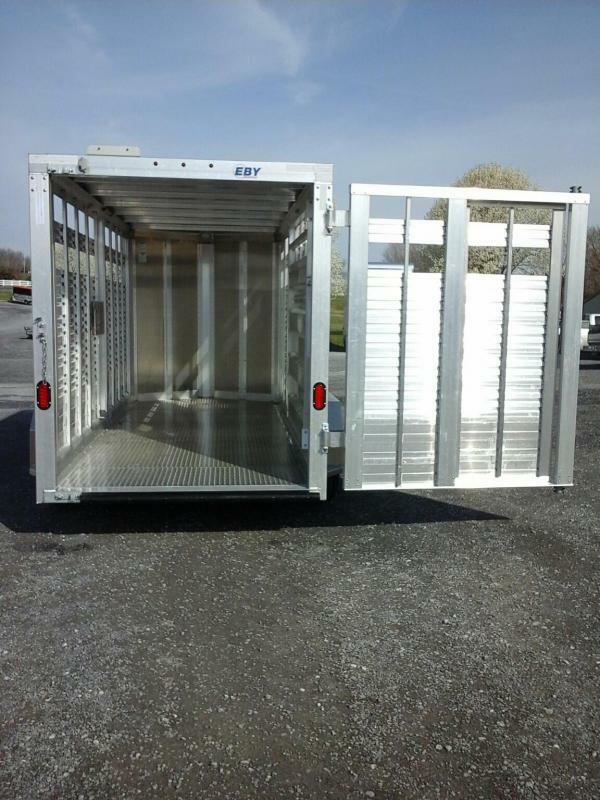 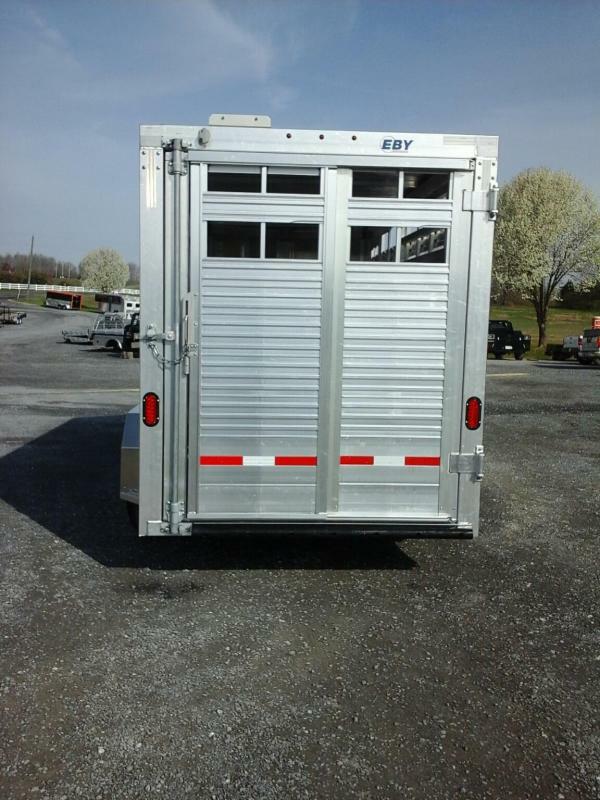 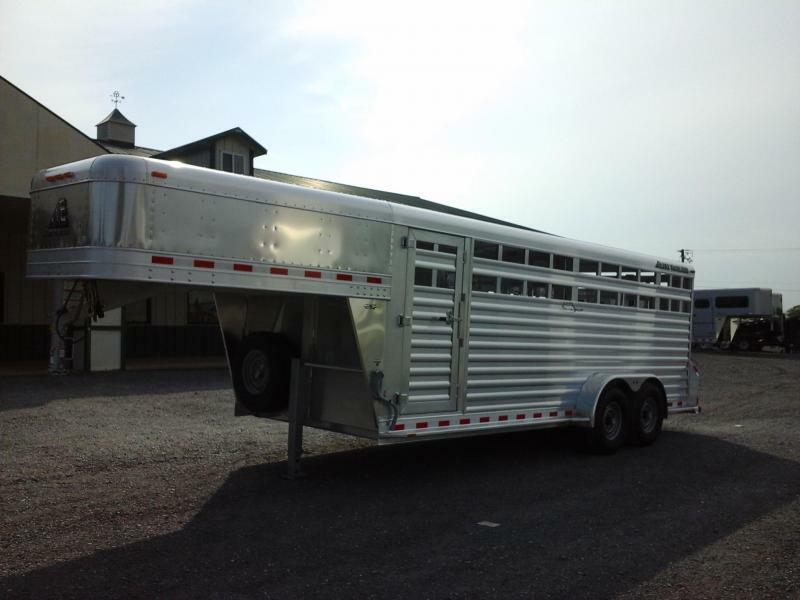 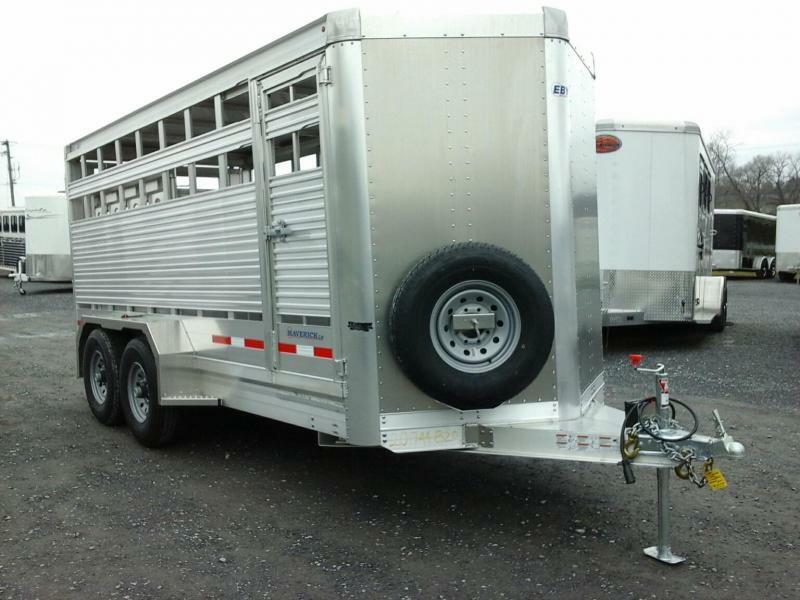 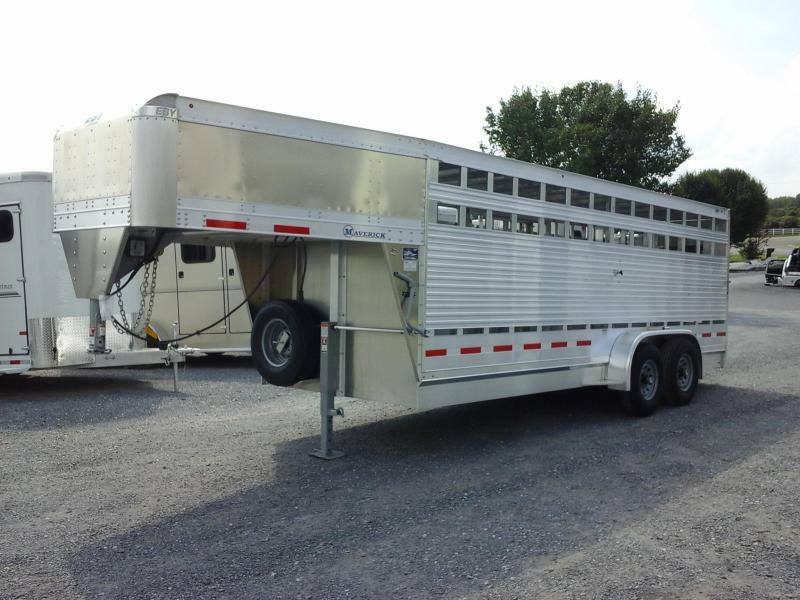 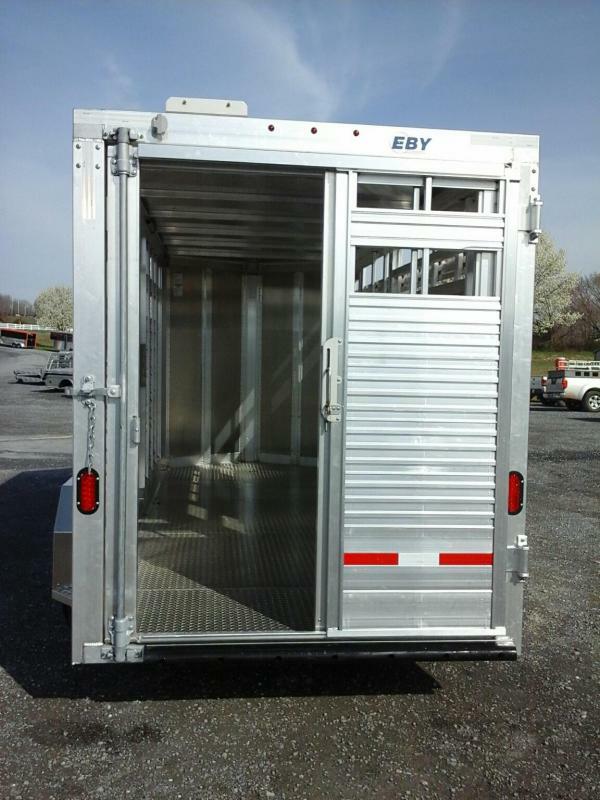 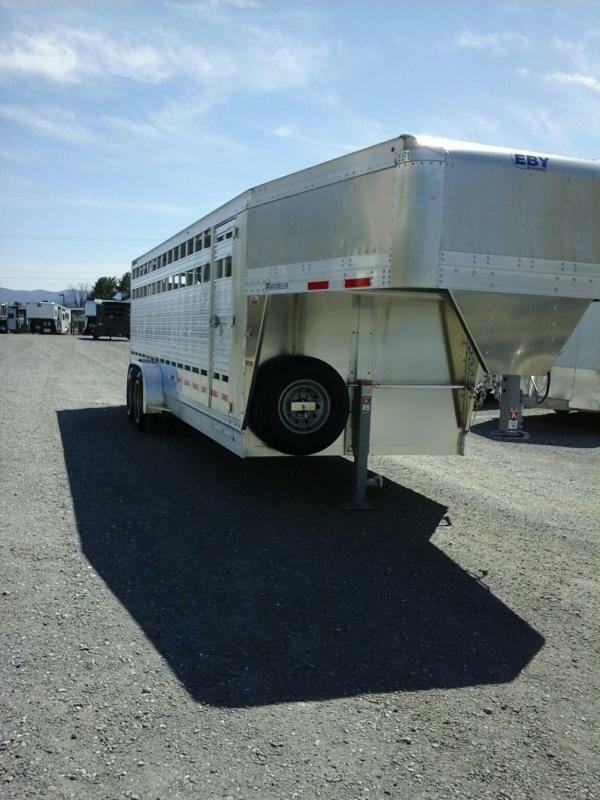 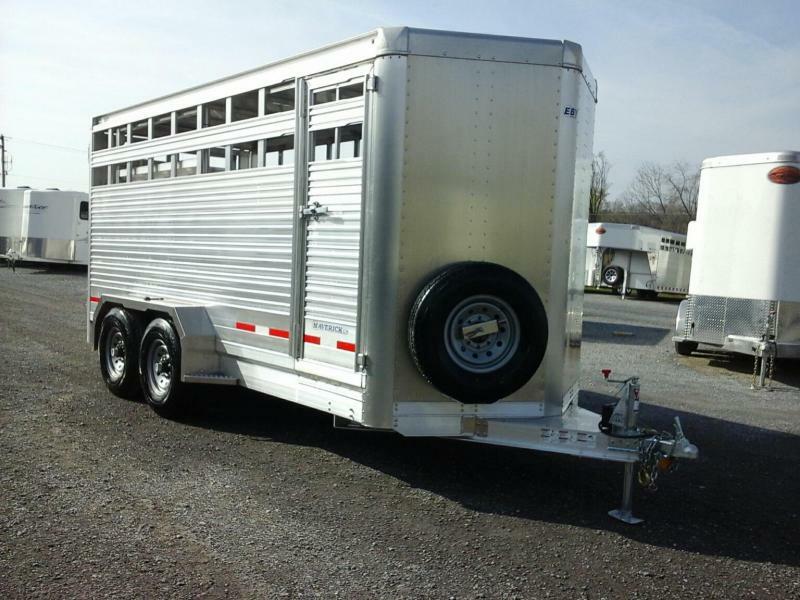 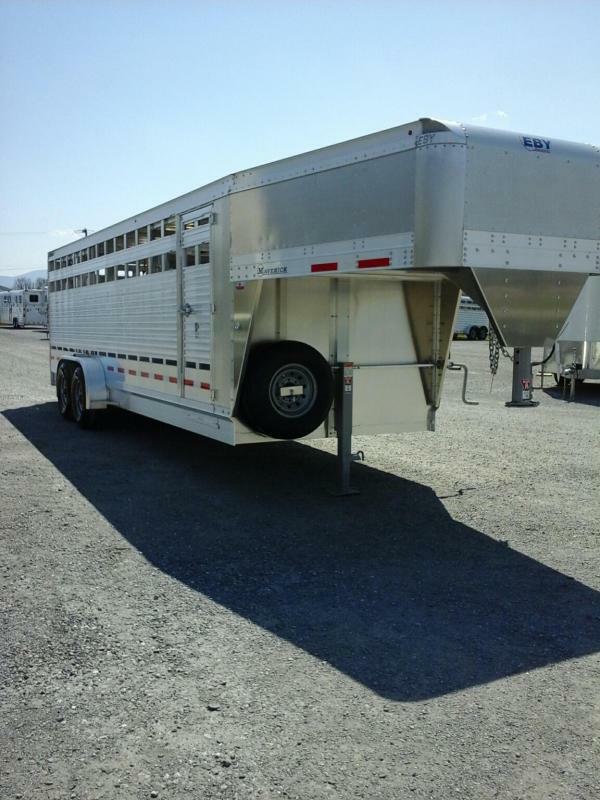 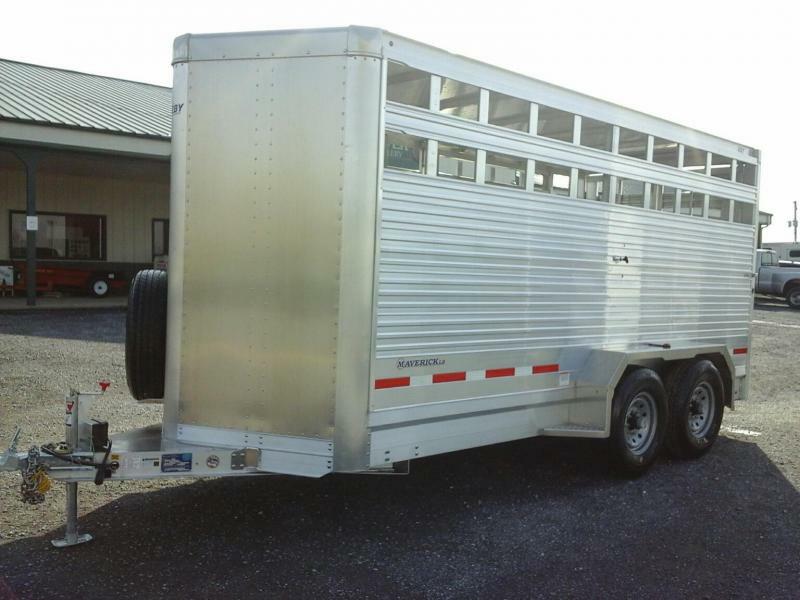 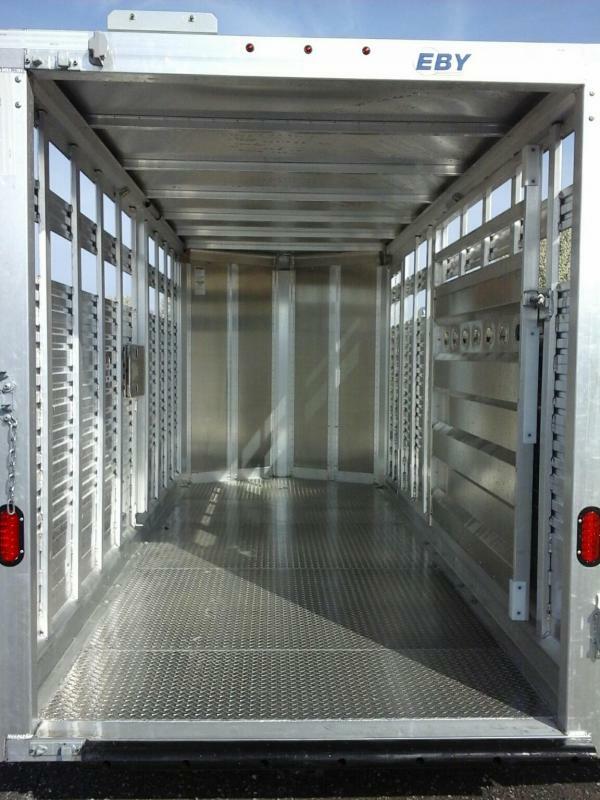 NEW 16' EBY Maverick LS Livestock Trailer. 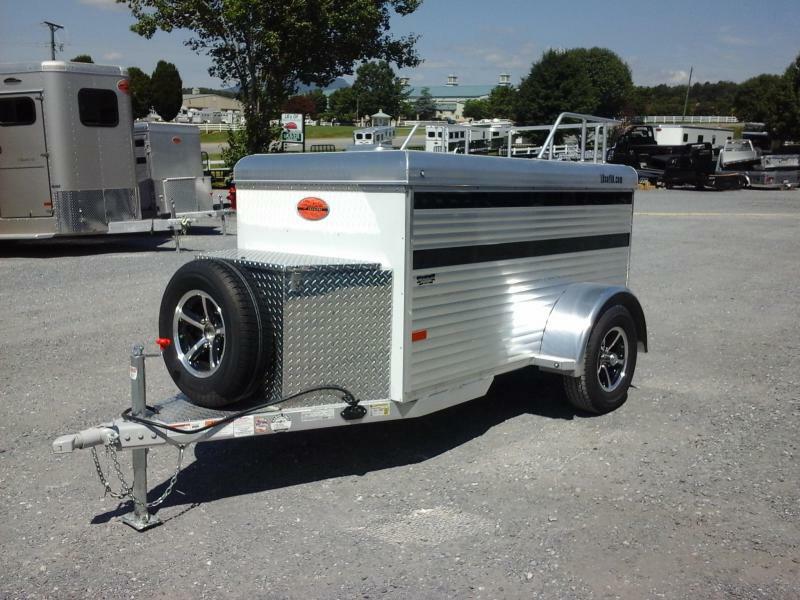 Trailer has (2) 5200lb axles, D-Rated to 10k GVWR, Electric Brakes, 235/85/R16 Towmax Tires on 16" Steel Wheels with Spare, Top-Wind Bulldog Jack w/ Foot Plate. 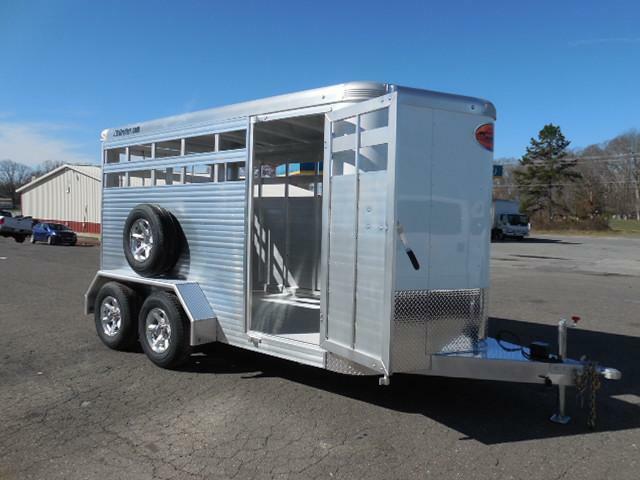 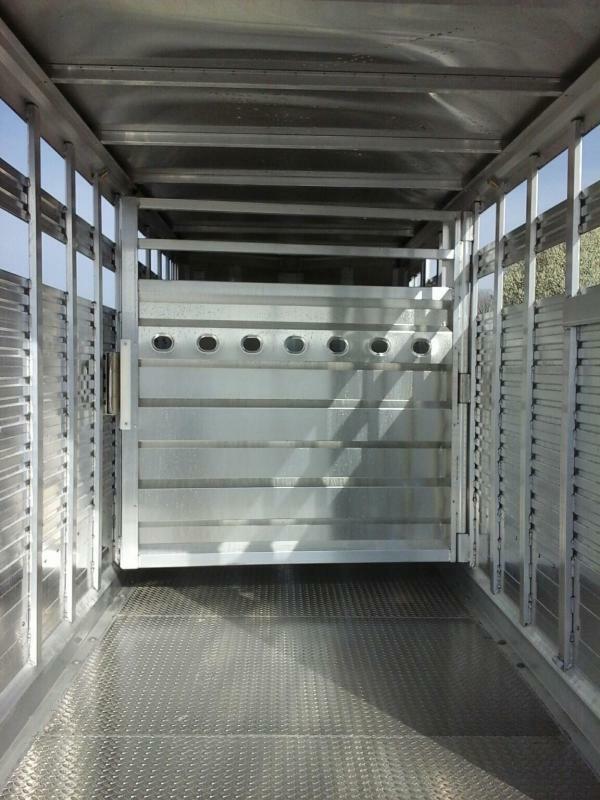 All Aluminum Construction, Rear Swinging Gate w/ Sliding Calf Gate, Swinging Center Cut Gate w/ Slam Latch, Passenger Side Escape door, and LED Tail and Clearance Lights.